John Orlando - "The Voice of the WCWF"
John Orlando is the voice of the WCWF. He does the play-by-play announcing accompanied by Arthur E. Embry III on color. 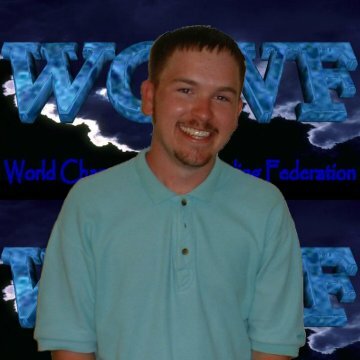 Formerly a commentator for the GWA and RPWF, John Orlando joined the WCWF just prior to Chaos at Christmas 1999. He was a college hockey stand out and trained to be a wrestler until an injury ended his potential career. Still driven to be involved in the industry, he decided to become a commentator. His idols and influences include Joey Styles, Jim Ross & Gordon Solie.